PrestaShop was started in 2007 by Bruno Leveque when he wanted merchants to be able to sell online with the lowest costs possible. With many choices when it comes to selling online, merchants are left with some tough choices when trying to decide which platform to use. PrestaShop has been the choice for users wanting to create a powerful online store, with full control of all files and hosting options. But for some, this may have not been the best option, as they were looking for something easier. PrestaShop has since released their latest way for merchants to start selling online, PrestaShop Cloud. This is a free service that allows you to set up a store within two minutes. You can go from merchandise to merchant in seconds. With the business being worldwide and millions of users, this is a huge boost for online sales. PrestaShop Cloud is backed by the latest version of PrestaShop, but instead of having to host it yourself, PrestaShop takes care of that with free cloud hosting. All you need is a computer and a dream. PrestaShop also conducts live training sessions for those who want to dive deeper into the software and the cloud version even comes with free support. 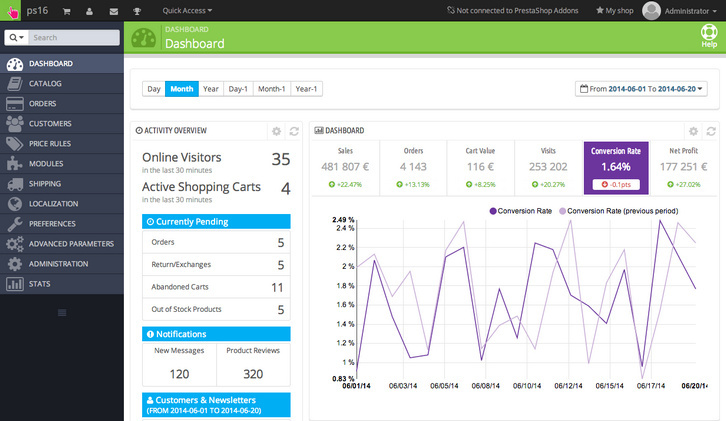 If you are a bit leery on what will attract a customer, PrestaShop can help you with that. They have a creative team of over 120 employees who can assist you on some of the best tips for creating an online store. You can get hands on service without having to leave your home. With the new PrestaShop Cloud, this can be achieved in a click or two. The setup process is quite simple, and your store will be ready to customize basically instantaneously. What many merchants have worried about is having the capital to start an online business. Previous methods of creating an online store require you to pay a developer thousands to design a custom ecommerce website, or for you to pay monthly fees, and commissions off your sales. But now with this new PrestaShop cloud version, none of that is needed. PrestaShop Cloud now has eliminated that burden, all you need to decide is what you want to sell. With new users coming on at 1,000 per day, this is off to a huge success. Now of course there are some ways you can spend money using PrestaShop. PrestaShop sells various templates for your ecommerce store, along with thousands of modules (think of them as apps) to meet all the various needs of your store. PrestaShop comes with over 310 features out of the gate, but if you are looking to boost that even more they offer various addons to help with SEO, building custom newsletters, etc. For the new business starting up, and the consumer, this is huge. Costs come down all around. You can rely on PrestaShop to provide the service needed that you couldn’t afford before. This type of financial freedom is usually only seen with third party selling sites such as eBay and Amazon, where your store is on their domain. With PrestaShop, it’s your own store on your own domain. With having the creative support, your ecommerce store can stand out amongst the others and this will provide a huge boost to any merchant’s confidence. You will also not have to be concerned about newer software as this is taken care of for you since the Cloud version updates itself. PrestaShop Cloud allows your energy to go where you want it to: Your business. You can be assured that your company will be given the time and attention it deserves without having to worry about the cost associated with running an online store. For the merchant looking to sell online, now is really the best time. PrestaShop is safe and user friendly. Your private information is safe and secure. You can be confident in your shopping experience. With over 200,000 stores using PrestaShop, this is truly a win-win. 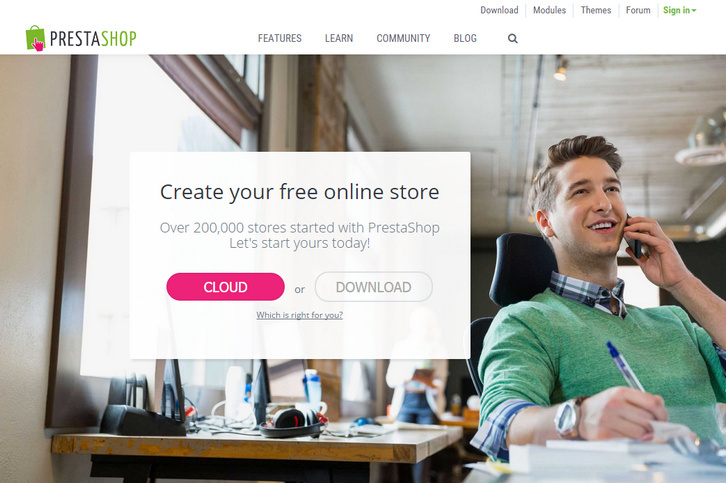 Have you used PrestaShop before? Have you tried the new Cloud version? Let us know in the comments below! Are You Maxing Out Your Triangle?